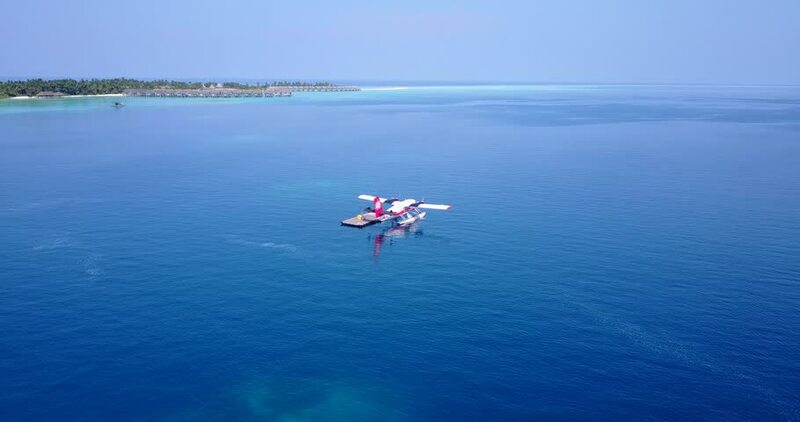 hd00:19Seaplane on background water surface and horizon in Maldives. Pleasant journey into the world of beautiful nice nature. A unique landscape.